NASA's rapid viral detection systems and ongoing treatment research are beginning to safeguard astronauts - and immunocompromised patients on Earth, too. "To date, 47 out of 89 (53%) astronauts on short space shuttle flights, and 14 out of 23 (61%) on longer ISS missions shed herpes viruses in their saliva or urine samples," reports Mehta. "These frequencies - as well as the quantity - of viral shedding are markedly higher than in samples from before or after flight, or from matched healthy controls." 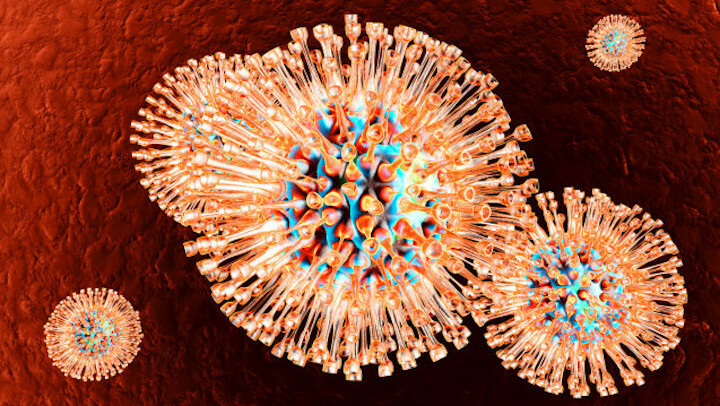 Overall, four of the eight known human herpes viruses were detected. These include the varieties responsible for oral and genital herpes (HSV), chickenpox and shingles (VZV) - which remain lifelong in our nerve cells - as well as CMV and EBV, which take permanent but uneventful residence in our immune cells during childhood. CMV and EBV, are two viruses associated with causing different strains of mononucleosis or the "kissing disease". "Only six astronauts developed any symptoms due to viral reactivation," says Mehta. "All were minor." "Infectious VZV and CMV were shed in body fluids up to 30 days following return from the International Space Station." What's more, as we prepare for human deep-space missions beyond the moon and Mars, the risk that herpes virus reactivation poses to astronauts and their contacts could become more crucial. "The magnitude, frequency and duration of viral shedding all increase with length of spaceflight." "The ideal countermeasure is vaccination for astronauts - but this is so far available only against VZV." "Trials of other herpes virus vaccines show little promise, so our present focus is on developing targeted treatment regimens for individuals suffering the consequences of viral reactivation. "This research has tremendous clinical relevance for patients on Earth too. Already, our spaceflight-developed technologies for rapid viral detection in saliva have been employed in clinics and hospitals around the world."